This is Bookyards official blog. Bookyards Editor: We love our website, but here are 20 other great online libraries. (We will be updating and expanding this list in the weeks to come). If you have websites that you like and is not on this list, please put the link in our comments section. A page of links to recent works (free) on-line from living authors: Books, Book Excerpts, Long Fiction/Non-Fiction. A library that focuses on classical literature from the best known authors throughout history. An online library of downloadable science fiction novels. A collection of ebooks organized by category. Another large collection of free online computer books. Free-eBooks has free ebook downloads, ebook resources and ebook authors. Besides free ebooks, you also download free magazines or submit your own ebook. You can search and download free books in categories like scientific, engineering, programming, fiction and many other books. FreeTechBooks lists free online computer science, engineering and programming books,textbooks and lecture notes, all of which are legally and freely available over the Internet. 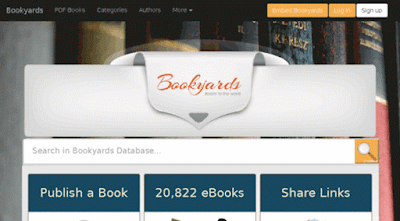 Getfreeebooks is another free online library. ManyBooks provides free ebooks for your PDA, iPod or eBook Reader. Free ebooks in eBookLobby are divided into different categories. Categories range from business, art, computing and education. Select the category appropriate to the e-book you’re looking for. Wow, thanks for sharing the twenty free great online libraries. It will make the work of students and teachers easier since they will spend less time to access the resources from the online libraries. Thanks for sharing this article and in case you need more articles for your blog, don’t hesitate to hire Article writing service. Easily Apple support is here to Support you anytime and anyplace. If you’re looking for best apple support so here we provide full of apple support on secure remote access or Call our apple support number 844-298-5888 For You.